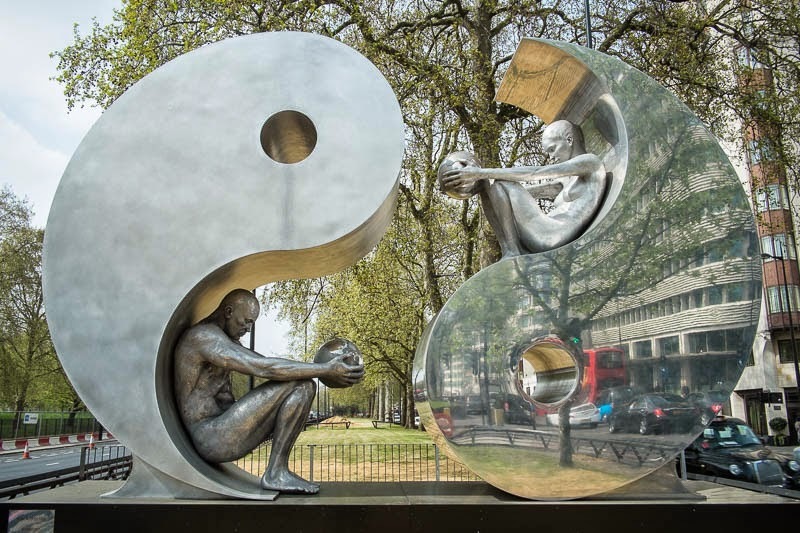 Yin and Yang is how artist Lorenzo Quinn describes his sculpture that sits at the beginning of Park Lane. This is a new one, it wasn't there last September... And I like it very much! Terrific, I like this sculpture very much !